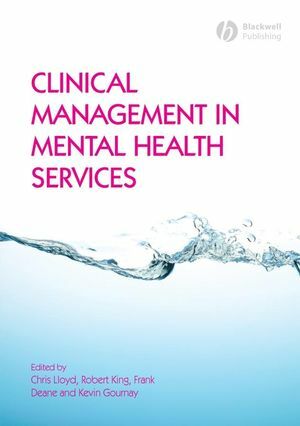 Steve Barnett’s innovative approach to change has been published in Clinical Management in Mental Health Services. 2009. Blackwell: London. Steve with his colleague Samson Tse wrote chapter 7 in this book edited by international experts in Mental Health Service: Chris Lloyd, Robert King, Frank Deane, and Kevin Gournay. Samson and Steve’s chapter titled “Organisational changes towards recovery-oriented services” provides a novel, theoretically sound, practical way for mental health professionals to achieve organisational change. Steve presented a synopsis of the chapter titled “Treatment Guidelines for Organisational Dysfunction” to the August 2008 Conference for Knowledge, Culture and Change in Organisations at Cambridge University. Organisational dysfunction is a common barrier to learning and change in organisations of all kinds. Organisational wellness can be achieved by changing the way that the members relate to and communicate with each other. Managing the change project itself requires an approach to organisation and communication that typically seems novel to conventional project managers. It’s not so much what you do; it’s the way that you do it and the chapter sets out the way and the tools to manage the project. The book’s esteemed editors expect the chapter’s novel approach and methodology to challenge managers, be well cited and widely read.